Happy New Year, to everyone out there. And we had a another fun filled day here in the desert. 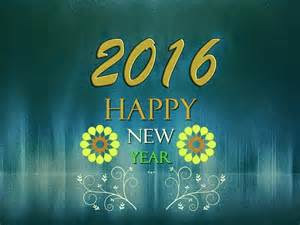 We would like to wish everyone out there a very happy, healthy and prosperous New Year . Hope you can make all your dreams come true, we have done wonderful so far. Another cold night, great sleep and many walkabouts the resort today, probably got 3-4 miles done before noon. Then I finished up making our Turkey soup this morning and we each enjoyed some for lunch today. Now with decent weather we decided today was a good day to got to the Arizona Market Place in Yuma. Checked a few friends to see if they wanted to got with us and Denis and Sandie were game or we can go ourselves. After lunch we headed on out. A good day to go. Closed tomorrow for New Year's day and the weekends are busy. All the vendors there and no crowds = perfect. So we wandered about, saw what we wanted to see and picked up a few minor things. Enjoyed the fresh air and exercise. Then we home by 4 o'clock, got some reading done outside for a while and whip up supper. Tonight a couple salmon fillets on the grill mats on our Weber Q . They turned out perfect! Added to our salad a glass of wine a few rice crackers and garlic humus we had a feast! Then another excellent sunset here from our dining room window. Nothing going in at the clubhouse tonight for New Year's eve other than card games and such, we are not much into so we will enjoy a wonderful quiet time at home and celebrate Midnight here with Time's square in New York ( 9pm here for us perfect time) Our bodies are still on Eastern Standard time. Thanks for stopping on by and hope y'all had a great 2015 and hope your 2016 is even better for everyone. Rv Friends and fellow bloggers here for a while so nice to see them, again. Another great sunny warm day what can we not like about this? Yep it's the desert and cold at night. But by mid morning the intense sun comes in and we are good to go. The weather says 62 f but with no wind or clouds it can get very hot in the sun. So shortly after 8 am I whipped into Yuma, pick up another slab of pork ribs to put in our freezer. We now have 3 more rib meals total cost for 4 meals $12.00 US dollars ($16.63 Canadian) $2.08 per portion Canadian dollars, sure can't beat that. Then I went to find some fresh Cranberries, Fry's no, Walmart no, but Albertson's still had some (season is done now). Want to make some fresh Cranberry and orange zest sauce to go with our Turkey Breast for supper tonight. Recipe is HERE . or on my recipe blog to right sidebar. At this Walmart there was about 15 of these buses parked here, The field workers inside picking up their food for the day and lunches. note the Porta potti s in the trailers behind. Back home and a walkabout the park with Suzie. Stopped by to visit our friends (Denis and Sandie) fellow full timers and bloggers we met many years ago on the road. Their blog is Happy Trails click Here . Don't think we have seen them since we were in Florida 3-4 years ago. They upgraded their coach not long ago and we just had to go check it out. Wow, that sure is and upgrade. what an amazing rig it is and of course they got a good deal on it too. Let them go and head home for a light lunch then some e-reading in the hot afternoon sun. Even though the weather channel says 62f this is what our thermometer reads in the sun. This is why we love the desert here, even when it's not hot it is. Yesterday I picked up a Turkey breast for us to cook, we love turkey breast and looked like a pretty decent price. 6lbs for $10.37 US dollars. Well I thawed it out and this thing is HUGE! Bone in and had to lay it on it's side to close the lid on our Weber Q. So figured 2-3 hours low and slow on the Q shortly after 2 pm. and could smell it cooking all afternoon , wonderful ! Denis and Sandie dropped by for "Happy Hour" around 3 pm we chatted some more and got caught up. So nice to catch up with friends on the road again. Now that was another great day here in southern California, excellent warm, sunny, dry and no bugs weather that we love. Not only that no crowds our traffic. Thanks for stopping by and if you around drop by in the afternoon or anytime, we usually here. Sunshine here is perfect, good deal on food and met fellow Bloggers. Another sunny day here. This is the desert, cold nights warm sunny days, just the way we like it. Temp up to the low 60'sf but wonderful in the sunshine, this is what we really enjoy. No wind for a couple days so is amazing here. Quick trip into town for a few food stuffs then home by 10 am. Found a cake mix in our cupboard that needed to be used up. So whipped it up and made a batch of Carrot and raisin loaves. Perfect for us will freeze most of them. And while shopping the other day picked up a deal on pork ribs at Fry's in Yuma. Check the pics below we will get 2 very hearty meals out of this. Maybe go back for another package before Friday. Love the price! $5.51USD. ($7.65 Canadian still a great deal) One of the ways we make our Canadian dollar stretch and enjoy some great meals. Now to enjoy a very warm afternoon in the sun enjoying our e-readers. Then at 3 pm have fellow Bloggers and followers stopped in to meet us and visit. Ray and Cindy and their puppy Penny so cute! We had a wonderful visit with them for an hour, could have talked forever such a great couple. Hope to see then again at Bloggerfest. I had put our ribs on the Q about the time they got here, like to simmer then in foil and sauerkraut for a couple hours, makes the so tender, tasty and smell so good. For the recipe click here . Then out of the foil remove the sauerkraut and place them on our grill mat. (keeps the grill clean) Now slather with bbq sauce, brown sugar and spices to caramelize. Added to a tasty salad and fall off the bone good ! Then as that's done another great desert sunset, does it get much better for us? Think not we loving it. That was about it for our fun day and really hope yours was a good one too! Glad that you stopped on by. Sunshine is why we are here and even did a bit of shopping with Suzie. Friends and fellow bloggers stopped in to visit, what a fun day! Another great day of sunshine a warm temps. Getting tired of hearing this? We aren't, sorry this is why we are here. Temps into the high 60's f, clear blue skies and sunshine.Not hot , not humid, no bugs and no crowds or traffic. A few walkabouts, nice sunrise and so peaceful. A bit or road noise that we get used to but that is just "white noise". love the ladder, pretty safe eh? Shortly after 9 am heading into Yuma, Suzie wants to check out Good Will. Bargains to be had here for sure. I looked around, nothing for me and in 10 minutes she found 2 tops she wanted and we outta there. Then head south for a few miles to the Dollar General to top up our Verizon card. Passed through some wonderful farm country here. The crops are amazing ! Dollar General done and back home for a light lunch. Get some serious reading done and then we had company! Friends, fellow rv'ers Bloggers stopped by to visit. Missed us yesterday but we here today. Glad that they dropped on by. It's been a year Jean and Skip are such a cool couple, down to earth people. We could have talked all day, but only had half a day left. But eventually time for them to leave, am sure we will meet up again with them again this winter. Then time to whip up supper. Tonight a couple pan fried fish fillets in fish crisp on our Weber Q and a salad. Now this is much better weather! Another wonderful day no wind !! Sunshine, blue skies and temps in the high 60's = perfect !! We had thought about going to the Arizona Market Place, but we like to go early and was still quite cool and really nothing we wanted or needed. Much nicer to go on a very warm morning. So canned that idea and hang out here, we will have lots more chances to hit the flea markets this year. I headed out for a few groceries back by 10 am and we decided to pack up our Christmas decorations. So nice outside. That done and a bite for lunch I cleaned up our Weber Q, (was pretty sandy from the wind storm). Got out my California Duster and dusted the dust off the car and the coach. Nice thing here it is just dust, no need to wash the vehicles. Now I am on a roll with this wonderful sunny warm day. Shorts on, shirt off and cut my hair and beard outside (Suzie does the final trim for me). Then with the hot sun, roll out our awning to get some reading done outside in the shade, again love it! that's me my Birkenstocks with my socks on! hmm... not cool, but do I care? Then at 2:30 a text from John and Barb, their week here was done and they moved to the LTVA, BLM land behind us, invited us to drop by for Happy hour on this wonderful day. So hopped in the car with our chairs and stopped in the check out their new "Home Dirt" right behind the resort. A nice visit with them then home for supper. Fire up our now clean Weber Q and grill the one smoked turkey sausage and the single turkey burger in our freezer. Add that to a tasty salad and the rest of our pasta salad, sure did the trick. Was actually a great day, overall. The wind gone and sunshine with blue skies back, just the way the desert usually is. Had a lot of comments yesterday about Bloggerfest and looks like will probably do it at La Posa south LTVA, there is washrooms there. More info to follow in the future. Lets keep it simple right? Thanks for stopping by again and hope you are enjoying great sunny, warm weather too. Christmas Day in Southern California wonderful!